Brooke recently joined the Salon Mulberry team from Columbus, Ohio. With 7 years of experience, her passion was fueled by a love for the Industry at a young age. She specializes in beautiful icy, cool or sandy, neutral blondes, as well as fiery reds, rich brunettes, and fun fashion colors. Along with color, Brooke has been very successful with precision cuts, razor cuts, texture and volume. Don’t worry guys, she has also trained under very prestigious Barbers and is very knowledgable in men’s cutting, fading, clipper over comb, texturizing and gray blending. 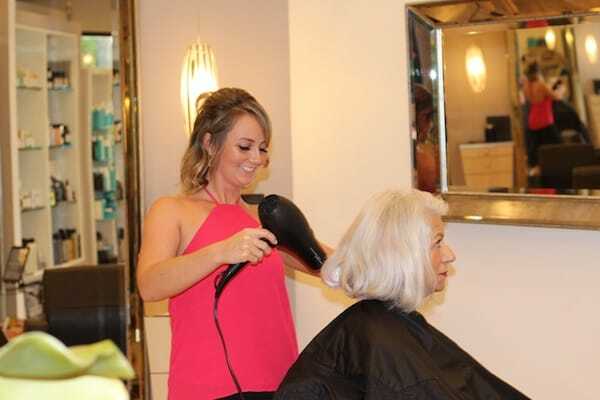 Brooke has an amazing personality that allows for clients of all ages to feel welcome including creating a look fit for a little Prince or Princess. Most importantly communication is crucial to Brooke to guarantee the desired look for each guest, starting with a detailed consultation.